We probably spend far too much time each year debating the potential name of the next version of Android. Because Google decided long ago that they would name each new version (that they deemed worthy of a name change) after something sweet and delightful in an alphabetical order, it has become a competition to see who can get it right, find the name first in Google code, or simply throw out the most random treat starting with the current letter. As you all know, the current letter is L, and as of Google I/O, we have a preview build for Android L that continues to tease us on a daily basis. It begs for us to guess at what it might stand for. It wants us to proclaim that we know the meaning of “L.” So far, there have been zero hints. Is it Lollipop? Is it Lemon Meringue Pie? Is it something else? Over the weekend, the creator of the famous Android statues that represent each Android version on Google’s front lawn, Giovanni Calabrese, started Tweeting about an upcoming trip to Google HQ that would involve working on the current set of statues along with a special project. He then couldn’t help but mention Licorice over and over again. As he cruised through the TSA, he talked about boxes of Licorice. He then, apparently, handed out boxes of Licorice to TSA agents. The guy likes Licorice. So what does that mean to the internet? Android L is going to be called Licorice! Or it isn’t. The man works on super secret Android projects for Google. He knows people know who he is. He knows that people follow him on all sorts of social media because of what he does. He knows that if he starts teasing Google lawn sculptures, that you will all freak the hell out. What better way to hype your special sculpture business than by getting the entire Android fanboy army talking about you for an entire week? Clearly, he has done this. Do you really think he is going to out the name of the next version of Android before Google can? If Google wanted Android L’s name to not be a secret, they would have told us the name at I/O. Instead, they left us hanging, probably on purpose, because that’s what Google does. Last year, they partnered with KitKat after trolling us all for months with a Key Lime Pie codename and icon. They appear to be doing it again this year with a Lemon Meringue Pie icon and codename. If last year is anything to go by, it seems likely that they have a surprise ahead. Why would Giovanni Calabrese get to spoil that surprise? Also, talk about a way to ruin your relationship with one of the biggest companies in the world, by outing the name of the next version of Android after it had been kept under wraps this entire time. Seems risky and weird, right? Keep in mind that the whole point of the statues this guy makes, is to unveil the name of the next version of Android. Google did it with KitKat. They did it with Jelly Bean. They did it with Ice Cream Sandwich. And they did it with Gingerbread. Since we don’t know that name yet, I kind of doubt that Mr. Calabrese was given the green light to do so on Google+. If there is anything to take from his posts, it’s that he is traveling to Google HQ this week to work on the current lawn sculptures. That means he is performing maintenance on the current statues, but it could also mean that it’s time for the unveiling of something new. He does mention that a “secret surprise project” is involved. But again, that brings us back to this whole “Licorice” thing – does Giovanni want to ruin his “secret surprise project” with a hashtag for some candy? Probably not. 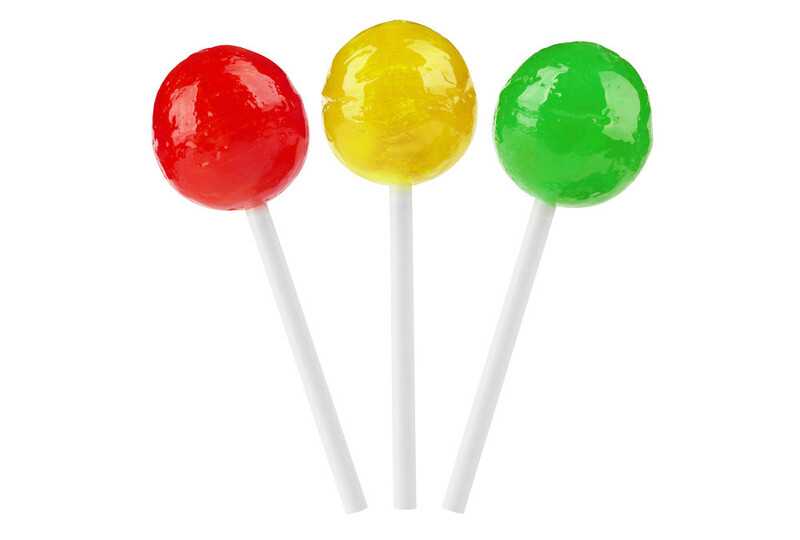 My money is still on Lollipop. Yep, I’m betting on Lollipop.